This is a project I have made for some upcoming craft markets and Christmas gifts. It is easy but also very useful! It is perfect as a gift for someone’s office or desktop. 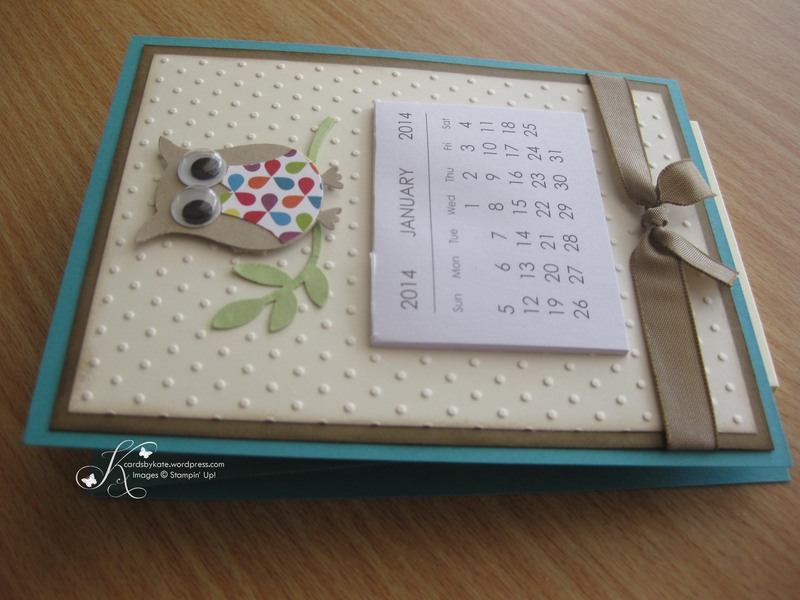 It has a pad of post-it notes on the bottom and the top part of the card sits behind the post-it notes and has a calendar which can be displayed all year round. 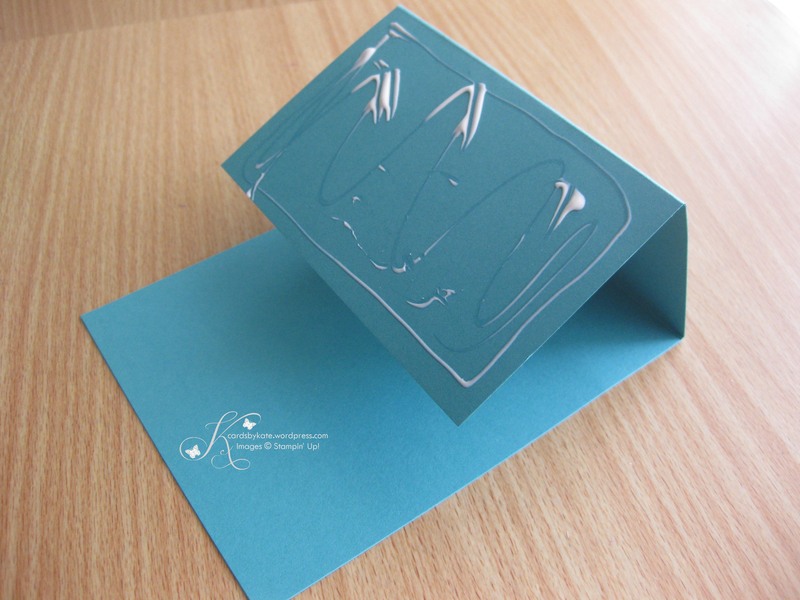 To create this you start with one piece of card stock measuring 4 1/4″ x 11″; score it at 5½” and 2¾”. Fold as shown above and add adhesive to the easel section. Cut one more layer at 4¼” x 5½”. Adhere the bottom of this piece to the area with glue on it so that it folds flat. This will make them easier to put in the post! I hope you like this cute but simple project. Accessories – Big Shot, Polka Dots TIEF, Paper Trimmer with scoring blade, Soft Suede Taffeta ribbon, Tombo Glue, Glue Dots, Dimensionals, Sponge Daubers, Wiggly Eyes (non SU)., Mini Calendar (non SU). 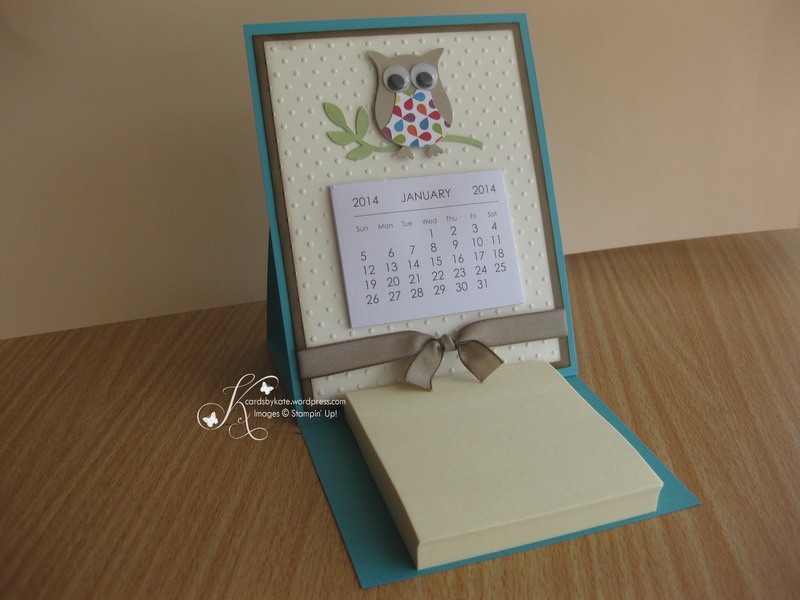 Tagged Mini Calendar Card, Owl Builder, Post-it Card, Stampin' Up! WheE can you print or purchase the perfect sized calendar? Hi Sue, they are 3″ x 3″ and I got them from Officeworks!